Is Google’s February 5th “Mystery Update” Mobile Related? When it comes to web search, Google is the one who knocks. So when Algoroo reported a major flux in Google’s SERP algorithm on 5th February 2015, it was a stop-what-you’re-doing moment for all SEOs and digital marketers alike. But unlike past algorithm updates, not much is actually known about this one. Google has now confirmed that it’s neither Penguin or Panda, but that’s all that’s known unfortunately. The plot thickened further on 26th February 2015 when Google officially announced that as of 21st April 2015, mobile-friendliness would officially become a ranking factor. That’s two massive occurrences in one month, but are they both related? We certainly think so. As briefly mentioned in February’s Algorithm Weather Report, we have a hunch that the mystery update is just another piece to this entire puzzle. Google’s recent focus on mobile is nothing new. The mobile usability warnings delivered to webmasters last November kicked it all off, followed swiftly by tools, guides and blog posts from the search giants themselves advising webmasters on how to properly go about optimising their websites for mobile search. 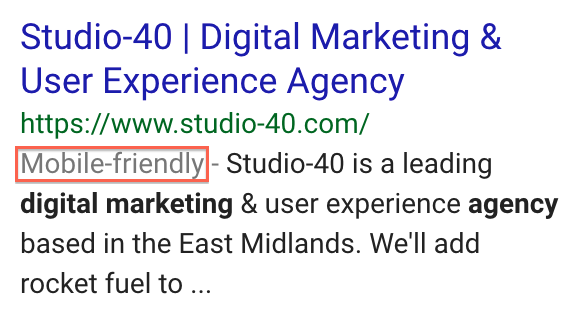 Users now even see ‘mobile-friendly’ labels on Google’s mobile SERPs and some SEOs have even reported seeing ‘slow’ labels. Judgement day officially landed on 26th February 2015 when Google officially announced its intentions to consider mobile usability as a ranking factor from 21st April 2015. Above left: Studio-40’s meta data on mobile SERP results, displaying a ‘mobile-friendly’ label. Above right: A slow label displayed on YouTube’s meta data, ironically. The agreed practise here is to implement a responsive design to your site. The bottom line here is if you do this, you’re in the safety zone for the 21st April 2015. Having one URL with one HTML code (whilst using CSS3 media queries to determine how a webpage is rendered on different devices) does not only deliver a better user experience for visitors, it also allows for a more efficient crawl from search bots. Both Google and Bing have freely voiced this preference in their respective blogs, and it’s something we’ve been trying to convey to our clients as we discuss new marketing strategies for 2015. This user-focused standpoint is something we’re all familiar with as digital marketers, and with 62% of adults in the UK now having smartphones, why should the mobile experience be any different? There are a lot of moving parts here – mobile search, responsive web design and ultimately, the topic at hand, the mystery update – so why do we think the latter relates to all of this? Well, since Google announced that the algorithm update was neither Panda or Penguin, we turned to analysing some mobile metrics from our clients to seek the answer. Interestingly, some patterns started emerging that could suggest that the mystery update is somehow related to mobile. How their site was developed for mobile, i.e. 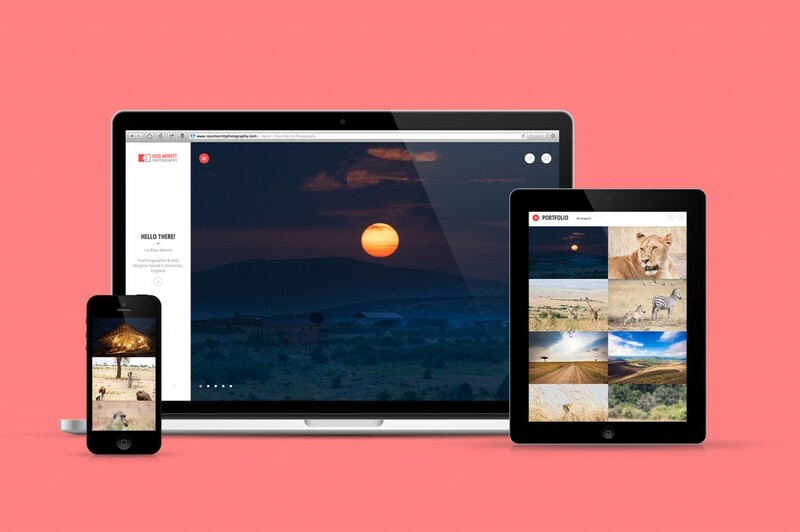 is it responsive, adaptive, m. or desktop? Some of our observations can be found below, with February being used as our data range. We tried to be as conclusive as possible, but as always with SEO, we appreciate it’s often difficult to single out the effect of one ranking factor. With that said, someone out there needs to have a go at determining what the mystery update was all about, so here’s our attempt. Out of the 26 clients sampled, only 6 used a responsive web platform; the preferred choice from both Google and Bing. Each of these 6 clients experienced either increased or no fluctuations in their search engine ranking performance after the 5th February 2015. No decreases in rankings were reported after that time period. Decrease in rankings after the 5th February 2015 only occurred with clients who use desktop, adaptive or m. platforms for their mobile experience. Competitor A is currently running on an m. platform and competitor B, like the Studio-40 client, is currently running on an adaptive platform. 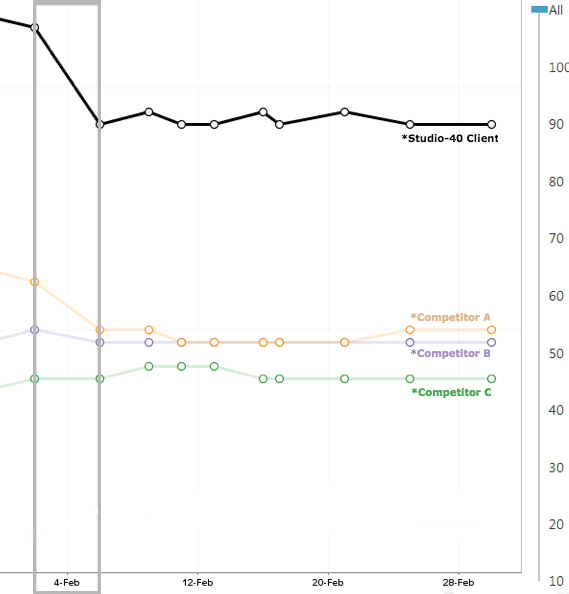 Competitor C is the only site where a responsive platform is being used, and funnily enough, the only case where the average rank positioning did not decrease. Their rankings remained consistent throughout the mystery update period, increased 6 days later and stabilised to their previous positioning sometime after. The remaining 3 sites experienced significant decreases in keyword ranking after the mystery update period and have been unable to recover since. Sites that had a high percentage of GWMT mobile page errors were the most likely to be affected by decreased rankings, with an average variance of -2 positions occurring. The threshold seemed to be around 75%. If websites had mobile page errors covering more than 75% of their website, they did experience a drop in rankings. Conversely, sites that had a low percentage of mobile page errors on GWMT saw very minimal negative activity in their search ranking performance. Average ranking positions either remained consistent or improved after the mystery update was launched. In this instance, the safe zone was approximately below 20% of pages with mobile errors. The most significant decreases in ranking positions occurred when the preferred viewing platform for a site was mobile. This was the case for several clients with one client even experiencing falls in rankings as far as -8 positions. In this particular scenario, 43% of traffic came from mobile with 35% and 22% of traffic coming from desktop and tablet respectively. In all cases, this metric appeared to override other mobile factors, such as whether or not a client received a mobile usability warning on WMT or the percentage of mobile errors across a site. Both the Panda and Penguin algorithms cover a lot of ground. If content and links aren’t involved, then we need to look at an area of SEO that’s large enough to justify such a massive flux in search engines rankings. It’s important to keep in mind that we’re only working off the basis of a hunch here and what’s currently going on in the digital landscape. Mobile is starting to gain serious traction with 2014’s mobile commerce sales figure expected to reach €193bn, so, are Google simply implementing some preliminary actions before launching their full mobile update on 21st April 2015? Whether you agree or disagree, it’s an interesting debate. We’re keen to hear your thoughts – do you think the mystery update was mobile related? If not, what are your suspicions? Let us know by posting a comment below or sending us a tweet. If you’re a client looking at optimising your mobile experience then get in touch with Studio-40 today. With our years of experience within user experience, web development and SEO, we’re positive we can help you. To discuss how your site performs on mobile, and what changes can be made to improve the user experience and search performance further, call or email us today for a free consultation.